Problem solving is our specialty when it comes to challenges related to fumes, gas, dust, recycling, as well as creating safe working conditions and maintaining an efficient production environment. Many of our solutions have been ground breaking innovations within the metal fabrication, plastic and composite processing industries, as well as chemical, food, woodworking, vehicle repair environments and more. We have a wide range of dust filtration units suitable for most dust application types and we offer a large assortment of round bags and flat bag filter products and systems. 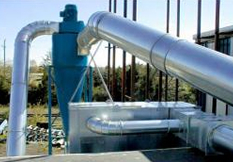 Our dust filtration solutions are versatile and can be adapted to any application or task-specific filtration demands. Envirox is the sole distributor of Nederman products in southern and sub-Saharan Africa. 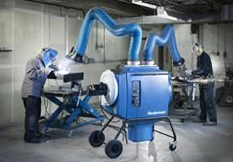 We offer the full range of dust filtration, air filtration and dust extraction equipment solutions. 313 Boundary Road, North Riding, Randburg, 2040 South Africa.